Mexican government says it is willing to discuss the North American Free Trade Agreement (NAFTA) with President-elect Donald Trump. 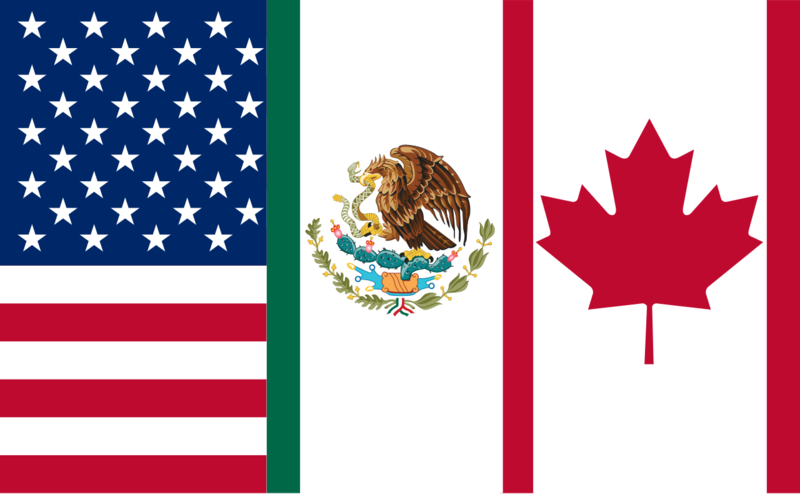 The NAFTA came into effect between the US, Canada and Mexico in 1994 when Bill Clinton was president. The pact created one of the world’s largest free trade zones by reducing or eliminating tariffs on most products. It was meant to benefit small businesses by lowering costs and reducing bureaucracy to facilitate buying and selling abroad. Mexican Economy Minister Ildefonso Guajardo said his country would try to explain the “strategic importance” of the deal for the region to Donald Trump, who has heavily criticized it. Canadian PM Justin Trudeau also said he was open to talks. Donald Trump has called the pact as the worst trade deal the US has ever signed. His strong protectionist sentiments on the campaign trail helped to win support in areas that were formerly manufacturing centers. Donald Trump has pledged to bring back US jobs lost to globalization. Mexico and Canada fear losing access to the US market, on which they heavily depend. The Mexican peso hit a record low following Donald Trump’s unexpected election victory and fell again on November 10 after recovering slightly. Foreign Minister Claudia Ruiz Massieu said Mexico was willing to aim to “modernize” NAFTA with a Trump government and Canada, but also ruled out renegotiation. Justin Trudeau said it was important to be open to discussion on trade deals. No date has been set for talks but Mexico’s President Enrique Pena Nieto has said he and Donald Trump have agreed to meet, possibly before the latter’s inauguration in January. Aside from attacking NAFTA, Donald Trump has also heavily criticized the Trans-Pacific Partnership (TPP), a hugely ambitious deal signed between 12 countries that Mexico hoped to use to modernize NAFTA and expand its trade with Asia. Ildefonso Guajardo said that in the event the TPP is not ratified by the US Congress, signatories should consider trying to implement the rest of the agreement without it. President-elect Donald Trump has also angered Mexico by saying he would make it pay for a wall he wants to build on the shared border in order to keep out illegal migrants.